I have supersensitive skin so I have to be very specific about the things I use and most of the stuff I use on my skin has organic Oils….I still lost 40lbs in two rounds of HCG. Looking to lose another 10-15 in round 3….so I’m not sure that this is as big of a deal as it’s made out to be? The main thing to look for when buying skincare products is that it should be oil-free or containing only mineral oil. Just wondering if plant oils are ok? Such as Gratissima oil (Avocado) or is it literally nothing with the word oil in it? No, just mineral oil. Rayzel mentioned that oils do affect things on hCG. She’s not sure how much of an effect the oils would have. She thinks it might have to do with just how much is used. If you decide to experiment and use plant oils, can you let me know the final results/feedback so I can pass this on to others? Does anyone know of any good deodorants with no oil? I found the one I am using now (Degree) contains oil. I found some spray deodorants that do not contain oil. Not my favorite to use, but its better than nothing! I just signed up for you email but i do no see any way to download the e book on what cosmetics to use. There is no link that get you there. The link you provide takes you right back to where i signed in to receive emails. Very confusing!! If you could please email me at [email protected] I’ll send you the file. Funny, I signed up and never got the link to the make up list nor the confirmation email. Please advise. Just wanted to let you know… I signed up via email and received the cosmetic list within seconds. So for me, it worked beautifully. Thank you for all your hard work. How vital to success is changing all my skin care and makeup products? I did a homeopathic version of this protocol earlier this year before I found out about hCG and I changed all my products. But by the time my protocol was done my skin was so dry and crepey (is that a word?) that I feel I look so much older than before. I still have a lot of weight to lose, but at 55 years old can’t afford to let my skin get too dried out. Hi..I just bought Kohls oil free moisturizer works great! Hey Chica! Is Truvia an accepted alternative to sugar. Hey HCG Chica! After God you are my life line! Thank you. Just wanted to mention The gal who wrote the products list mentioned that many companies didn’t return her inquiries as to ingredients. Just an F.Y.I. I was just on Walmart’s website and they listed all of my Revlon products ingredients. Woohoo! Also, can you explain if glycerin is or is not ok and why? I do not see it either but know that Corn Huskers works for HCG and you can buy it Walmart. Sorry to be another one that cannot get list. I signed up above & have been receiving your emails but have not received an email for the lotion/makeup list. Would like to have list as son as possible. Thank you! Hey @Anne Crawford- if you’ll just send an email about this to [email protected] my helper lucelle will get it to you right away! Looking for lip balm with SPF… Any ideas? Is Vaseline ok? Hello…I signed up for newsletter/email and recieving them. However, I would like to see the skincare list. Can you email it? Does anyone know of a suntan spray or lotion that is oil free? I was able to get the list ~~ just register your email for this and you’ll be able to get to the link. On a side note, asking anyone if they know why the HCG programs through a medical weight loss center/clinic are different than the Simeon’s protocol of 500 calories? I just started with a center and they require 700-800 calories, 3 meals per day. I want to stick with the center but thinking I should change up my menu to correctly reflect the 500 calories. Any one ever have this experience or give me some insight? Hi @Joni Walker – the list may have gone to your junk mail – if you’ll just email [email protected] my helper Lucelle will send you a copy okay? The diet is done a myriad of different ways now. It’s up to you what you feel is best to do. for me, on the right dose of hCG which I discuss here: http://hcgchica.com/hcg-dosage-how-should-feel-on-the-hcg-diet-when-you-are-on-the-right-dose/ More than 500 cals is rarely needed – but some like the higher calorie program- it’s an individual thing I think. If someone who does have it wouldn’t mind forwarding it to me that would be amazing and I’d be really appreciative. Best of luck to everyone, hope you’re all having enormous success on the program! I haven’t receive any emails from you. Did you email at [email protected]? I need to know what can be used on the protein drink on phase 2. I am preparing to start the diet. I don’t have a ton of money to buy all new makeup and hair products. Can you suggest the cheapest oil free products? Also, can I continue to use my current hair products? I am a massage therapist and use coconut oil on my clients. Is this going to mess up my protocol? I haven’t started the diet yet. Boy talk about fast action! I was frustrated because I wasn’t getting the list of makeup products so I stated as much in the comments section. No sooner had I done that …I recieved the list with a smile. Thank you for your quick response. Well for crying OUTLOUD! I signed up for the emails and did everything I was suppose to do and STILL am not able to get the list of makeup products. This is very important to me and it seems to be for those who commented as well. How do I access this list? I’m telling you I have tried everything I know to do and still nothing. Help? I am 61 years old ..do you have some success story with seniors? Can Vaseline be used on the skin during P2? I am wondering if the HCG hormones will they affect my current birth control? Yes according to my Dr. you need 2 forms of birth control while on the program. He insisted even though my husband has had a vasectomy. Hey! I was looking for info on this. My fiance and I are not trying to have kids right now. So…I am on the pill. That is not enough? My Dr said 2 forms of contraceptives while on the diet, no compromise. However I do see many different forms of the diet being used. We are using the injections supplied by our Dr. and weekly Bvit shots. hCG is one type of hormone they use for fertility treatments so it is not surprising to hear that women get pregnant when taking it. Study up on the history of the hormone and how it is primarily used and you will understand. Not one of them is okay and good for you and this diet! You need to be cautious about cosmetics, many have hidden oils in them. I think glycerin based soaps and lotions are best to keep your skin soft while on the HCG diet. Also there are products that use a derivative of coconut oil called Cocamidopropyl Betaine which is found in Neutrogena Rainbath and a number other body washes like Old Spice, I think Neutrogena Rainbath is excellent, I live in Seattle which has a climate conducive to dry skin. Aveeno products tend to use glycerin as well as the softening agent, some use oil in them, just make sure to check the label in the store, Aveeno is an excellent brand in addition to Neutrogena. Jason makes good oil free products but they are very expensive. Make sure you avoid using actual oils because it could slow down or reverse your weight loss. It does not matter if its a high quality one like extra virgin coconut oil, you need to steer clear of fats during phase 2. A very small trace in your proteins is not going to affect you put a tablespoon of oil is going to hurt your progress. 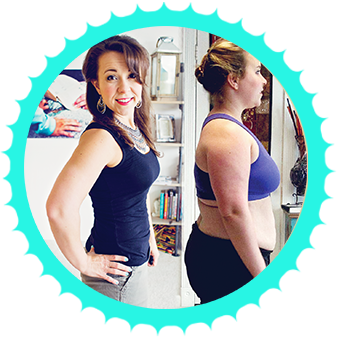 I just started the hcg diet after running into your blog! Haha thanks. Anyway, I have a question. How sensitive will I be to oils? I’m just a little hesistant because I’m a waitress at a hibachi/teppanyaki restaraunt. Having said that, when I take out plates or what not, most of the time, it’s really oily.. Will that be a big problem?? How do I create a blog? Soon, I will be going through my hcg journey for 3 or 4 phases. I sent my email days ago and never got the list. Can I please have it if there is one? Hi @ronijonah:disqus yes certainly- I can’t seem to see an email address for you in your profile- if you email me at [email protected] I’ll send it over. Good Evening, I subscribed back in August and did not receive the links for approved skincare products. Can you please forward me a copy of this along with any other helpful downloads? Thanks a bunch! I enjoy your posts and appreciate your time. I am still in the research phase of hcg. Have not committed yet. I have a major question that needs to be addressed. I am a massage therapist and I have my hands and forearms in oil every day sometimes for several hours at a time. Ive had a client who was on the hcg diet who insisted I not use any oil product on them during their phase 2 and 3. How essential is it for me to not have my skin exposed to oils? I would think the molecules are too large to enter the blood stream through my skin and become fat in my body. I am already on your email list, how can I get “the list”? I signed up as well, but never got the lotions and makeup list . Hi there! I went ahead and e-mailed you. I am having the same issue as the ladies stated below. Can you please send me the cosmetic products list. Thank you. Hi Ajalena- sorry about that! It should have been sent to your email- if not, just email me at [email protected] and I’ll attach it for you okay? Sorry! Hi Rayzel, I signed up for your newsletter and I did not get the list. HELP! So sorry judi! Can you email me at [email protected] and I will send it to you by email? Hi I’m inspired by you and would like to start hcg myself, but I live in Canada and am having a very hard time finding this product !! Is there anyway I can get here ? I need help!!! Hi thsnk u for getting back to me as o soon .unfortunately this site that you gave me will not allow shipping to Canada. If there is any other site I should try plz let me know thanks . I tried escrorefill? Hey I’m sorry about that! When I originally created it the attachment was immediately sent to everyone already on my sign up list but it’s possible it went to your junk mail or something- I’ll email it to you right now okay? I’m in the same boat, not able to get list, but am a subscriber…I am just starting loading and am as dry as a snake..need moisturizer hints? So sorry I just saw this Shannon- I really apologize- can you email me at [email protected] and I will send it to you through email okay? Or you can message me on facebook as well- either will work- hcgchica on fb. So sorry! It’s supposed to be sent to you automatically when you subscribe. Please email me at [email protected] so I can send you the pdf file of the makeup list. Can BEAUTY COUNTER (natural, safe make up) be used? It is new to the market, so not sure if you know? Did you sign up for my newsletter/email updates? When you fill out the box above to do that, the list gets sent automatically to your email- let me know if you are still having trouble after that okay? I do not see a URL link for the approved cosmetics list in you email only a confirmation of subscription URL and a URL that puts me right back @ this page. I signed up and didn’t get it. Not in my junk mail either. I’d love it! Thanks for all your work and help! You were a life saver my first round! HI @Hilary King – if you’ll just email [email protected] about this my helper Lucelle will get the list to you right away! Sorry about that!